Discover the pleasure of flying with us. Our team is willing 24/7 to supply all your transport needs. We can take you where you wish. In your business flights, pleasure, or any other need you have, our aircraft and staff are available 24/7 to provide you with the best experience. No waiting in lines or waiting at the airport. Airlines all have “Hubs” from where they service major cities. Fly straight to your destination saving time without having to transfer and/or stop in major cities. The airplane will never leave you behind! Time and destination are decided by you. No penalties, no extra costs. Having at your disposal an aircraft provides you with the utmost flexibility to tackle competitive opportunities. Fly with personalized services satisfying your wishes and needs with the utmost comfort. 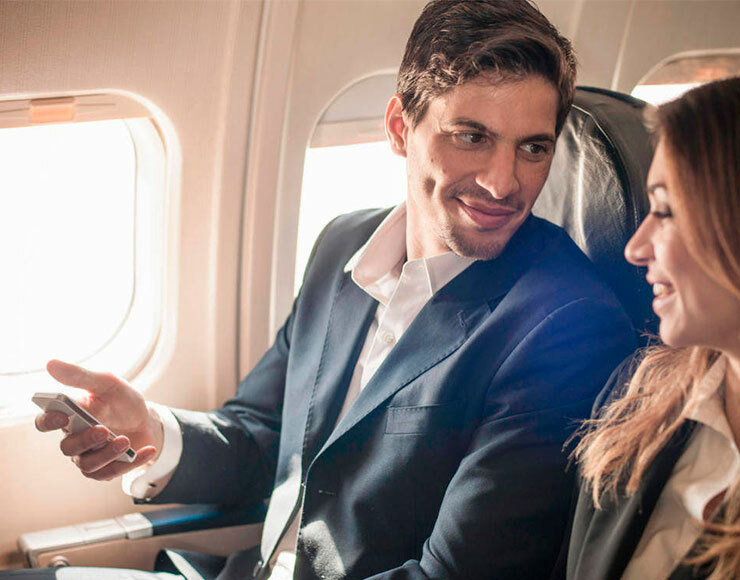 Conduct your business meeting during flight with the privacy you deserve. Would you like to have a known, trained, and trustworthy crew? Corporate Aviation has highest safety records in the industry. Personalized maintenance and professional training guarantees you the highest standards of operation. Minimum exposure to public places. Design your own menu. Vegetables, meats, seafood, fruit and beverages. Being capable of a business tour early in the morning without having to sacrifice dinner with your family or your favorite sport. SHOULD YOU USE CHARTER FLIGHT? Next up, we will give an average mean of utilization considering the experiences of many companies using diverse means of transport. This chart is a simple guide to define the most cost-effective means of transport. If the 25 hours per year are flown towards “hard to reach destinations” which are not frequented by big airlines, it is recommended to use charter flights.